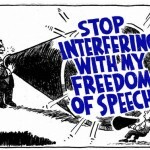 This communication consists entirely of my opinion, the right to express which is conferred upon me under the terms of Article 19 of the Universal Declaration of Human Rights 1948, to which this country is a co-signatory. 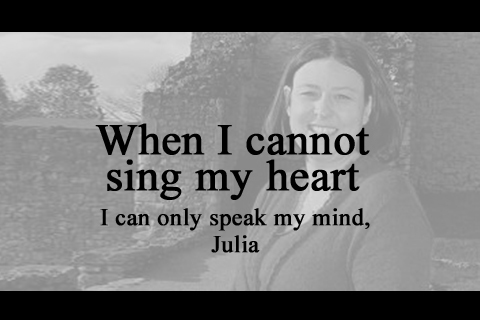 I have written today (1st December 2013) to Mrs Julia MULLIGAN, Police & Crime Commissioner for North Yorkshire. The letter is my Appeal to her to address, as she has previously committed to do, the many issues raised on Real Whitby regarding very serious lapses in moral probity on the part of high-profile members of the local authorities here in North Yorkshire. I write to proffer my most heartfelt encomiums. The action you have taken, together with Chief Constable Dave JONES of the North Yorkshire Police (NYP), to recover the ‘Personal Development Fund’ payments disbursed to former Chief Constable Graeme MAXWELL and former Deputy Chief Constable Adam BRIGGS brings your first year in office to a stirring, if unheralded, climax. I applaud you. Bravo! Moreover, your action demonstrates unequivocally that you possess the courage and integrity to confront this nadir of cronyism under which such morally unjustifiable payments were disbursed to men who have since been proven to be a disgrace and a mortification to the Force whose reputation and good-standing in the community now lies largely in your hands. I must confess, however, that I doubted your resolve on any matter likely to entail criticism of your ‘predecessor’, (now) Alderman Jane KENYON – presently the Portfolio Holder for Finance, Procurement & Legal at Scarborough Borough Council and formerly Chair of the now-defunct North Yorkshire Police Authority (NYPA) and its equally defunct Management Board (NYPAMB). “How can it be that two officers of a suspended California Corporation can hold Public Office in Britain”? It is, of course, no secret that David CLARK (for it was he who raised that question) was referring to Ms Jane KENYON and her life-partner Parish Councillor T.W. ‘Bill’ MILLER. To this day, he awaits a reasoned response. In the light of your recent action, surely an answer must now be forthcoming? The public domain is replete with detailed coverage of other excesses of financial ineptitude authorised by Ms Jane KENYON’s during her tenure at the NYPA and the NYPAMB. I refer of course, to the astonishing matter of the £500K purchase of the fleet of completely unsuitable Volvo P70s and Range Rovers, the £400K to Mrs Peta ACKERLY (wife of former Superintendent Paul ACKERLY, and the much-lampooned en suite bathroom provided for the personal hygiene of former Chief Constable Della CANNING – all authorised during the tenure of Ms Jane KENYON. 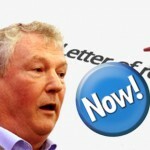 Councillor Tom FOX finds himself between a rock and a very hard place here – for how, in the light of Councillor Jane KENYON’s thirty-year record of abysmal financial blunders, can he say “Yes”? And how – without confirming a calamitous failure of judgement on his own part – how can he say “No”? 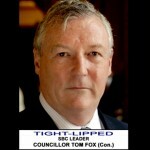 But Councillor Tom FOX has more pressing matters beleaguering him at present. In recent days, he has been openly and publicly accused of complicity in Police brutality pertaining to the silencing of a witness, with its concomitant consequence of a potential charge of perverting the course of justice. Which leads us to the inexplicable matter of the determined cover-up of the innumerable allegations against former Scarborough Mayor and Councillor, Alderman Peter JACONELLI, whose abuse of his position allowed his serial predatory homosexual paedophilia to go unchallenged, let alone investigated, prosecuted or punished from (at latest) 1953 to his death in 1998. Since 13th February 2013, a dozen or more independent witnesses (i.e. victims) have come forward, starting with an acting (now former) Scarborough Borough Councillor – Geoff EVANS. I am not alone in demanding an answer to this question; on the contrary, it is being asked by an increasing number of victims – victims whom you have promised a voice – as well as Councillors and even former Police Officers. The title of Alderman is now and forever tainted. 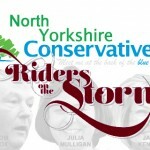 North Yorkshire Police has nothing to say on the matter, yet every resident of the Borough of Scarborough with whom I have discussed the matter (many of whom were, like me, teenagers in the early nineteen-sixties) has asserted that reports of JACONELLI’s conduct (and impunity) were rife and uncontested half a century ago – and ever since. 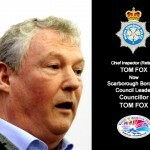 Are we to believe that only Councillor Tom FOX, the former Scarborough Police Inspector, remained in blissful ignorance? Now we learn that Whitby Memorial Hospital is to form part of the NHS investigation into the Jimmy SAVILE abuses. Will your office be offering a statement regarding NYP’s historical record of intelligence surrounding the hospital? Returning to Ms Jane KENYON and her life-partner Councillor T.W. MILLER, I would like your Chief Constable to explain to the member of the public for whom I act as the Authorised Complaint Friend how it is that the initial Police Statement which she delivered, in my company, to the Malton Police Station office of the Major Fraud Investigation Team of the NYP on Wednesday 24th October 2012. The Statement, alleging bank fraud and forgery, was presented to DC Melanie SPANTON, who took a photocopy, but declined to formally accept it or log it as evidence. On 5th December 2012, we were informed (by the same Officer) that the investigation was being passed to the Durham Constabulary (on grounds of the ‘political sensitivity’ of the accused) who would be instructed to include me in their investigation, and there would be a “clear need” to accept the Statement and other evidence. It was never requested. No evidence was taken. 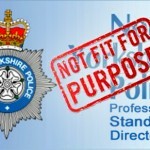 The Durham Constabulary did not pursue the investigation and, having excluded me from their communications with the Complainant, finally informing the Complainant by telephone that the investigation was being passed back to the North Yorkshire Police. That was in early May 2013. Today is 1st December 2013. How long does the Financial Investigation Unit need to evaluate a brief initial Statement and progress to its formal acceptance and investigation? Another year is slipping away. 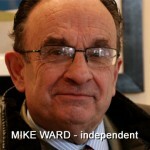 Like Councillor Tom FOX, Deputy Chief Constable Tim MADGWICK also faces serious allegations in regard to the intimidation of investigative-journalist and chartered accountant Tim HICKS, who has reported on actions taken by DCC Tim MADGWICK at the behest of – then Chair of the NYPA, Jane KENYON. Is this the standard of policing generally in North Yorkshire? Are victims of financial crimes committed by common criminals – rather than career-long members of the establishment who happen to be close acquaintances and friends of ranking Police Officers – forced to wait over a year for absolutely nothing to happen? 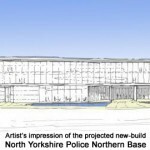 I put it to you that my assertion to Chief Constable Dave JONES at your ‘Time to Talk’ PR-Session in Scarborough – namely, that there appear to be two distinct classes within the application of the justice system in North Yorkshire – is beginning to appear unassailable. Those two classes are: the common man – and the self-serving and corrupt élitist ‘cronies’. I am far from being alone in that view. How else are we to comprehend the inordinate delay in each of these cases? How can it be that the perusal of twenty-four sides of A4 (being the twelve monthly Mileage Claims Forms of two distinct and separate institutions upon which County Councillor Carl LES has served) drag on from March 2013 to the present day – with no charges in sight? And three years down the road, no charges have been brought in respect of the widespread abuse of the £1.7M “Me Too!” Voucher Scheme, in which prodigious sums were expertly funnelled to relatives of those promoting the scheme. On 26th October 2012, County Councillor Joe PLANT (a protégé of Councillor Jane KENYON, and deeply implicated in the “Me Too!” scandal) promised “a frank & honest statement” regarding his ‘double-dipping’. We are still waiting. We learn this week that no charges are to be brought against former-Councillor Tim LAWN, who apparently did commit an offence, but ‘without criminal intent’. What was Graeme MAXWELL’s intent when he committed gross misconduct? Or Adam BRIGGS? Or the Officers who allegedly assaulted an innocent detainee in the cells of Scarborough Police Station? Did they have criminal intent? Did Peter JACONELLI have criminal intent? Did Jimmy SAVILE have criminal intent? Councillors and Council Officers appear to operate under the auspices of a protection racket. 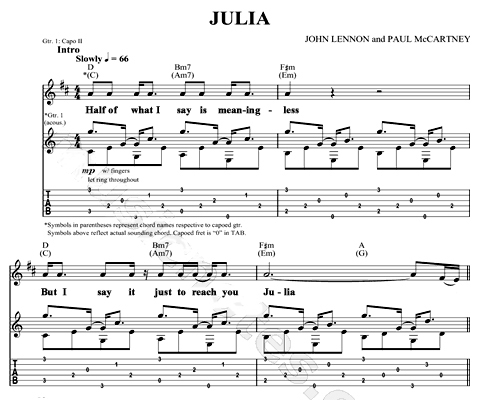 Julia, I write to you as a common man – one of the herd. I am a simple man. I left school at fifteen; but my curiosity made of me a great reader and keen traveller who taught himself to be a writer, a film-maker and a symphonist. In the course of my life, ridden with mistakes and failures, the simplest and the greatest truth I have learned is this: that at the very kernel of our civilization, our society, our community, lies the innate sense we all share of what is right – and what is wrong. It is wrong to ‘double-dip’ from two pots for the same reimbursement. It is wrong to accept – then betray – the public trust for one’s own ends. 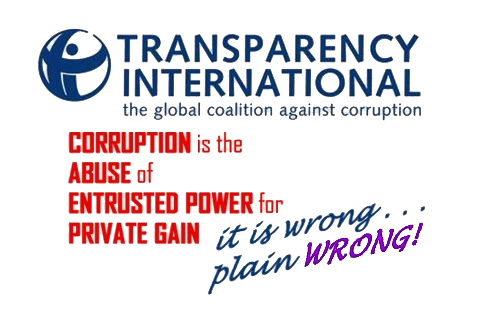 It is wrong to use privileged information for private gain. It is wrong to pervert the course of justice. You cannot rebut me. Wrong is wrong. And no amount of clever words from clever lawyers and clever Monitoring Officers will change what we all know in our hearts. Wrong is wrong. So I humbly appeal to you, having grasped the nettle of the ‘Personal Development Fund’ emoluments, to go forward and address the issues that you declined to address with me at your ‘Time to Talk’ PR-session, when you made a thrice-stated commitment to meet me to examine these issues. You have yet to make good on your word. I am at your service, Julia. And I wish you bon courage! PS – I intend to publish this Appeal into the public domain. I trust that meets with your approval?